1. Cut wings at joints. Discard tips (can be saved for chicken stock). 2. Season both sides of wings liberally with Kramer’s Wing Rub. 3. Using gloves, rub seasoning into meat. 4. Liberally drizzle wings with olive oil, creating a seasoning paste. 5. Let marinade in fridge at least 20 minutes, and up to 5 hours. The longer you wait, the deeper the seasoning will penetrate the meat. 6. Preheat grill to medium-high heat. 7. Grill 20-30 minutes, turning frequently, until cooked through. 1. Follow steps 1-7 above. 2. 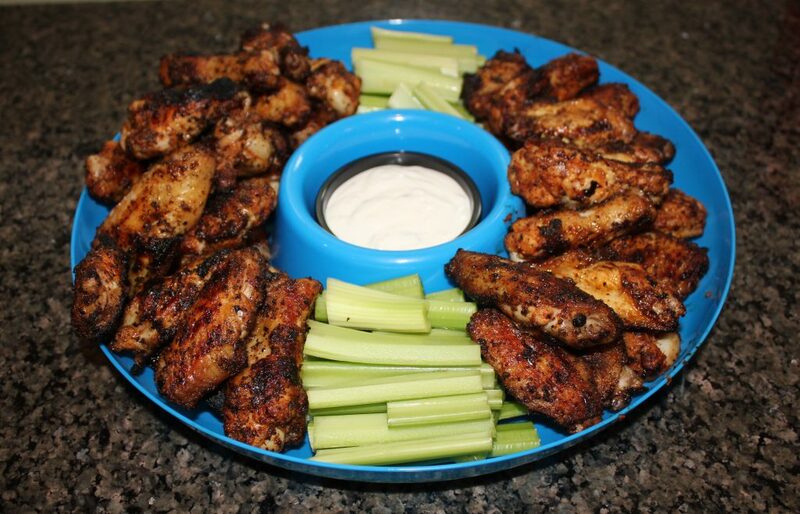 While wings are grilling, combine 1/2 stick unsalted butter with 1 bottle of Hot Sauce. 4. Toss cooked wings in bowl with sauce. 5. Transfer wings to oven safe dish and allow sauce to heat on wings in oven. 6. Serve hot with dipping sauce (if desired). Kramer’s Gourmet Foods is a Texas-inspired food company. Their goal is to provide the highest quality foods and seasonings around. They offer a 100% satisfaction guarantee with all of their products, and their first line of products is a line of chicken wing rubs that is good on pretty much everything!